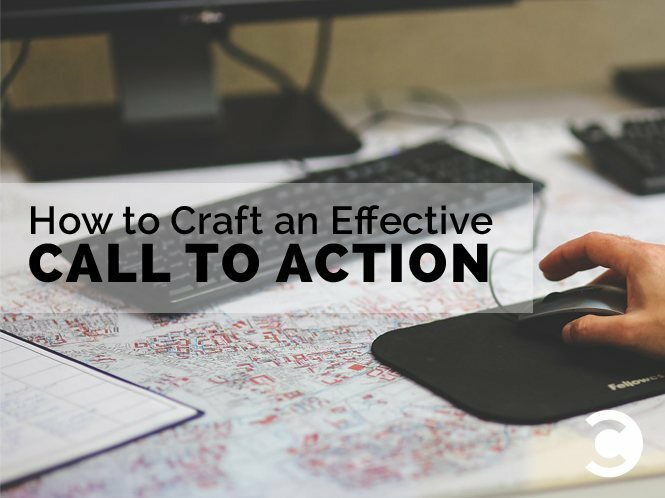 Anyone running an online business is familiar with the classic Call to Action (CTA). Often filled with active verbs enticing us to “Buy Now,” “Download Our Whitepaper,” or “Sign up for Our Newsletter,” CTAs are a critical part of any online marketing strategy. However, as your site grows and you have more content to promote, it’s easy to abuse the call to action. We’ve all seen this turn ugly—the cluttered marketing sites with twenty different calls to action clamoring for your attention as soon as you hit the page. Multiple brightly colored buttons each begging you to “Click Here” aren’t doing the site or the business any favors. These sites are like pushy used car salesmen whose eagerness and enthusiasm comes off as desperate and spammy. Conversely, a strategically-placed CTA will attract interest and yield a radically higher conversion rate, giving visitors just the right prompt at just the right moment. If a site with multiple calls to action is the pushy used car salesman, a site with a strategic CTA is the seasoned sales professional, who builds a relationship and rapport with the consumer before moving to close the deal. Call to action text is one of the most often tested ingredients of a landing page, and for good reason. Upgrading a vague, generic CTA to one that communicates value and prompts action can yield huge increases in conversion rates, so optimizing your CTA text is well worth the time and energy. But even a perfectly-worded call to action can be improved by considering it within the broader context of a website’s design. A great sales pitch isn’t made by the closing line—it’s everything that leads up to the ask. The same is true of the call to action on your website. Even if you nail the verbiage on the button itself, if the aesthetics and content of a landing page aren’t designed to support and lead into the CTA, the conversion rate will suffer. A great call to action will fit seamlessly within the flow of a landing page so that when a visitor reads (or scans) the page, the CTA provides a clear and compelling next step. A common practice is to ensure that the call to action is placed “above the fold,” and there is certainly still value in showing important information near the top of the page. However, studies have shown that when the CTA is placed precisely at the point where the visitor has the information they need to make their decision, rather than placed above the fold, it yields a higher conversion rate. So rather than arbitrarily forcing a CTA higher on the page, look at the page from a visitor’s perspective, and see where the call to action best fits in the overall flow of the content and design. Finding the right position for the CTA requires an understanding of the visitor’s expectations and an anticipation of their state of mind. So how do we understand our websites’ visitors? A/B testing and analytics give us valuable data about where visitors are clicking and which content is converting at a higher rate, but they don’t tell us about our visitors’ needs and motivations. The needs and motivations of our visitors are qualitative, as opposed to quantitative data such as analytics and A/B testing. The only way to get this qualitative data is to talk with your visitors. Spend time building a relationship with your audience and talking with them about why they do what they do. Talk face-to-face. Emails, phone calls, and Google Hangouts can provide a backup option when it’s not feasible to meet with members of your audience in person, but there’s just no substitute to sitting down and talking in person. Being physically present helps nurture the relationship and will create a sense of trust and openness that you won’t get from a phone call. This feeling of openness will allow your customer to speak more freely, and you will gain a better understanding as a result. Have a conversation, not an interview. Rather than grilling your audience trying to extract information from them, have a genuine conversation with them. Allow them to tell you about the problems they’re trying to overcome, struggles with their job, and the motivations behind why they do what they do. Watch your audience use your product—even if that product is a blog. Ask them to go through some of their common tasks and talk about what they’re doing while they do it. Ask why they do things the way they do. The great thing about observing is that you can spot telling behaviors that your audience may not even be consciously aware of—things they wouldn’t be able to tell you themselves. Use this new understanding of your visitors to optimize your content and call to action for what motivates them. Instead of focusing on a list of features, speak to how you’re going to solve their problems and meet their needs. When visitors understand the larger value of your solution and how it fits with their specific needs, they’re ready to take the next step. That’s when they should see your clear, compelling call to action. A great call to action is more than just the words within the button. It’s knowing your audience well enough to know where the CTA should be on the page—the right moment when they’re ready for that prompt to take the next step. To get to this level of meaningful understanding, you need more than just A/B testing and analytics data. Take the time to talk and listen to your audience, and you’ll be more fully equipped to create content—and a call to action—that resonates with their needs. Justin Zalewski is design lead for strategic design consultancy Studio Science. He’s worked with companies ranging from small start-ups to established players like Salesforce/ExactTarget to improve their UX design.